In Hotel Al Foz you will enjoy all the quiet you need for a perfect holiday. We offer you a wide range of services to not worry about nothing during your days with us. 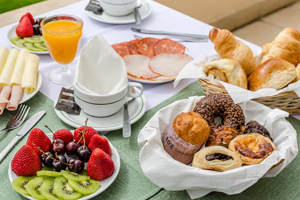 All the mornings, you can taste a delicious breakfast in our coffee-bar and at lunch and dinner time you can sample the typical gastronomy of Portugal in our restaurant. Furthermore, we have an outdoor swimming pool that is perfect to relax in summer. 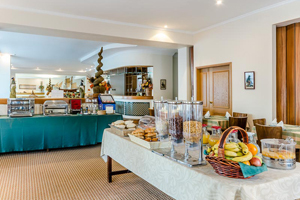 On the other hand, we put at your disposal our 24 hours reception to welcome you when you arrive to the hotel.